When Matt Nieto was a kid in hockey-crazed Long Beach — OK, the hockey-crazed part isn’t true — his grandfather bought him a mini-hockey stick. His parents, Jesse, a longshoreman, and Mary, a makeup artist, signed him up for roller hockey at the YMCA. Fast forward: Soon, Nieto was considered an L.A. Hockey Club prodigy, and among his teammates were Rocco Grimaldi, now with the Avalanche’s AHL affiliate at San Antonio after playing six games this season for Colorado in two injury-caused callups; and Emerson Etem, who has played 173 NHL games and signed Sunday with a Swiss team. As a sophomore in high school, Nieto went across the country to play for Salisbury School, a college prep in Connecticut, and was there one year before joining the National Team Development Program in Ann Arbor for two seasons. Then it was on to Boston University for three seasons before signing in 2013 with the San Jose Sharks, who had drafted him in 2011. Now, a year after the Avalanche claimed him on waivers from the Sharks at mid-season, the speedy Nieto has been a significant part of the Avalanche’s resuscitation, settling in at left wing on the efficient third line with veterans Carl Soderberg and Blake Comeau. 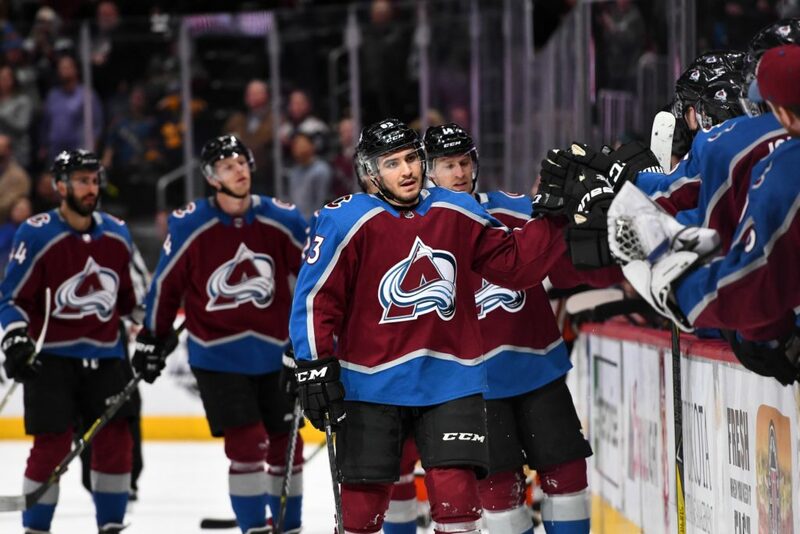 It’s a recovery for him after he was a healthy scratch in five of the Avalanche’s first eight games of 2017-18, and he had his eighth goal of the season as Colorado beat Anaheim 3-1 for its seventh consecutive victory. On a team in sore need of secondary scoring beyond the Nathan MacKinnon-centered top line, it’s significant that Soderberg (9), Comeau (8) and Nieto — mostly playing together at even strength and also playing significant roles on the Avs’ successful penalty kill — have pitched in with 25 goals this season. In retrospect, the addition of the speedy Nieto was at the leading edge of Joe Sakic’s attempt to get the Avalanche younger and faster, even as a horrible season progressed. Nieto had 7 goals in 43 games for Colorado last season, then signed a new one-year, $1-million deal as a restricted free agent in late July, scrubbing a scheduled arbitration hearing. As a waiver acquisition, Nieto wasn’t expected to light it up, but he has turned out to be a solid addition — especially after getting back in the lineup after his early season scratches. Avalanche coach Jared Bednar said the line has meshed. “I think the key to that line is, they’re perfect in the structure on most nights,” Bednar said. “Because they’re predictable to themselves, heading into the right areas of the ice, always making the right reads, there’s often times in tight checking games that they spend less time in their zone and they’re safe with the puck. Then they’ll hunt it down and get on the forecheck and get it back. In a lot of ways, they’re similar.